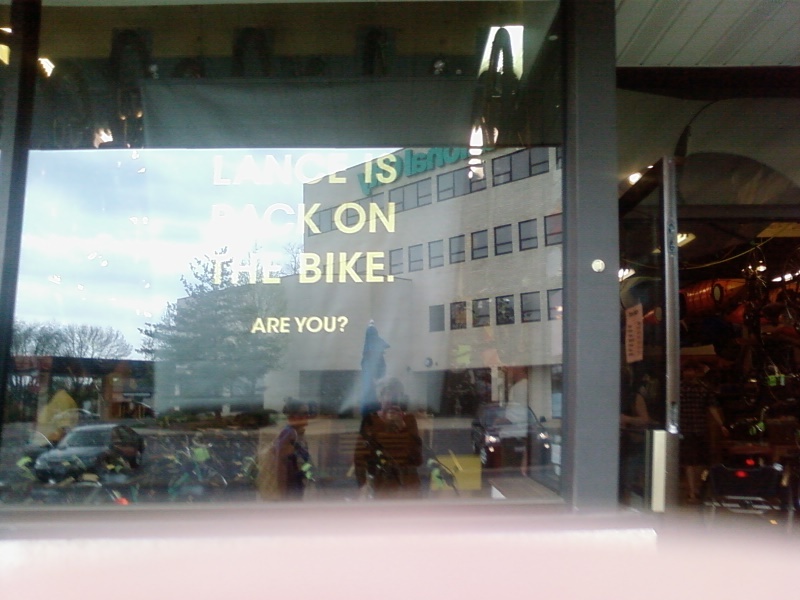 Lance is Back on The Bike. Are You? The following picture is from the front of a bike store in Peoria IL where wife and son are shopping.